"Organic Marketing and Export Network" (O.M.E.N.) functions as a growers’ association of 800 small scale family driven organic operations, the produce of which is marketed through 9 organic pack houses or processing units (O.M.E.N. member organisations) all over Greece and Cyprus. The Network’s head office BNS Biocyclic Network Services Ltd. centrally coordinates the fields of production planning, extension service, training, quality assurance, marketing and export logistics. All O.M.E.N. packhouse operators have their own packing facilities, which are exclusively used for certified organic products. In order to meet the standards of the "O.M.E.N. Code of Quality" (O.C.Q. ), all O.M.E.N. member organisations get trained in the implementation of the ISO and the GlobalGAP standards. In addition, the ARIADNE Traceability System, which guarantees the traceability of every single packaging unit not only from the grower but also from a single plot with information about the date of harvesting and packaging, guarantees a permanent flow-of-goods-control. 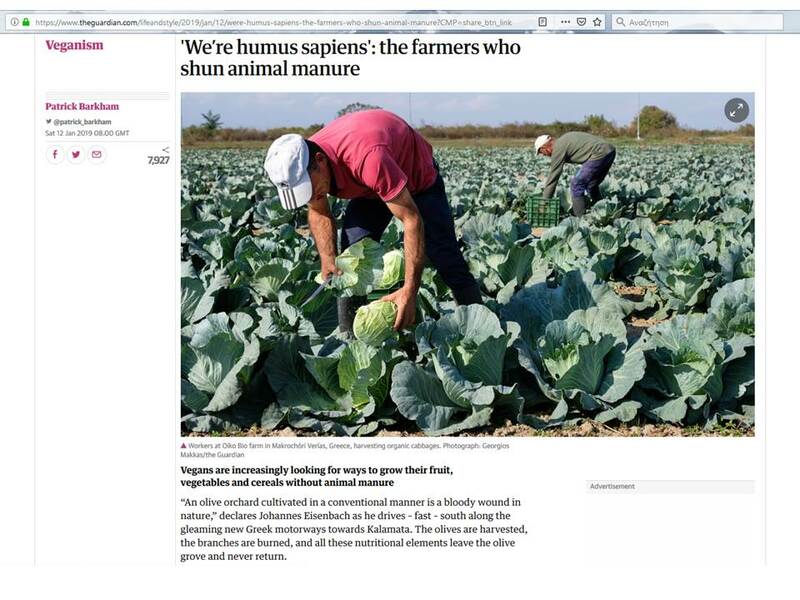 From all growers belonging to O.M.E.N. about 80 units producing citrus fruits, grapes, potatoes, pumkins and kiwis already fulfill the strict requirements of the Biocyclic-Vegan Standards and by contract with BNS Biocyclic Network Services Ltd belong to the ﻿"PANHELLENIC BIOCYCLIC VEGAN NETWORK"﻿, which is a member of the ﻿NATURLAND﻿ Association for Organic Agriculture. In addition to the controls of the local EU certification bodies, biocyclic-vegan producers are controlled according to the Biocyclic-Vegan and Naturland standards through BIO HELLAS and DIO and are certified by CERES and NATURLAND accordingly. Our producers receive all year around technical support by local extension workers trained by BNS staff. This in combination with the use of humus soil produced from olive cake compost for the improvement of the natural soil fertility by the Network’s compost plant in Kalamata (“Biocyclic Park”), determines our holistic approach in cultivating genuine organic, biocyclic-vegan products which meet the highest possible standards in terms of taste, quality and security. 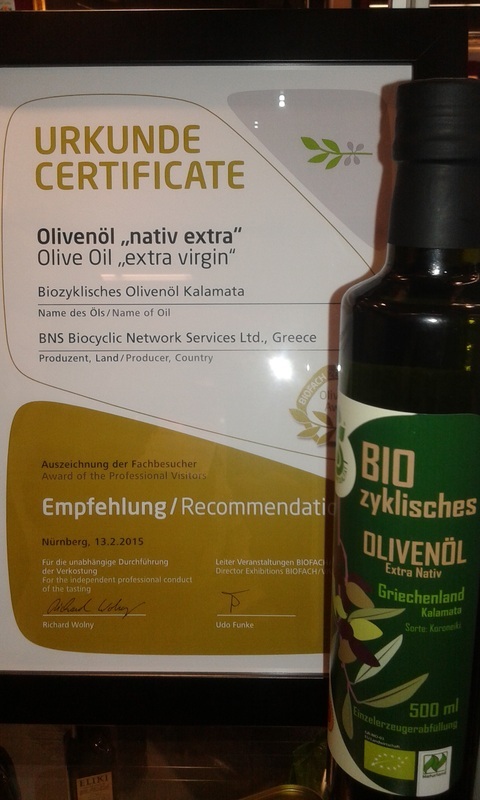 Biocyclic olive oil received again a recommendation at BIOFACH!